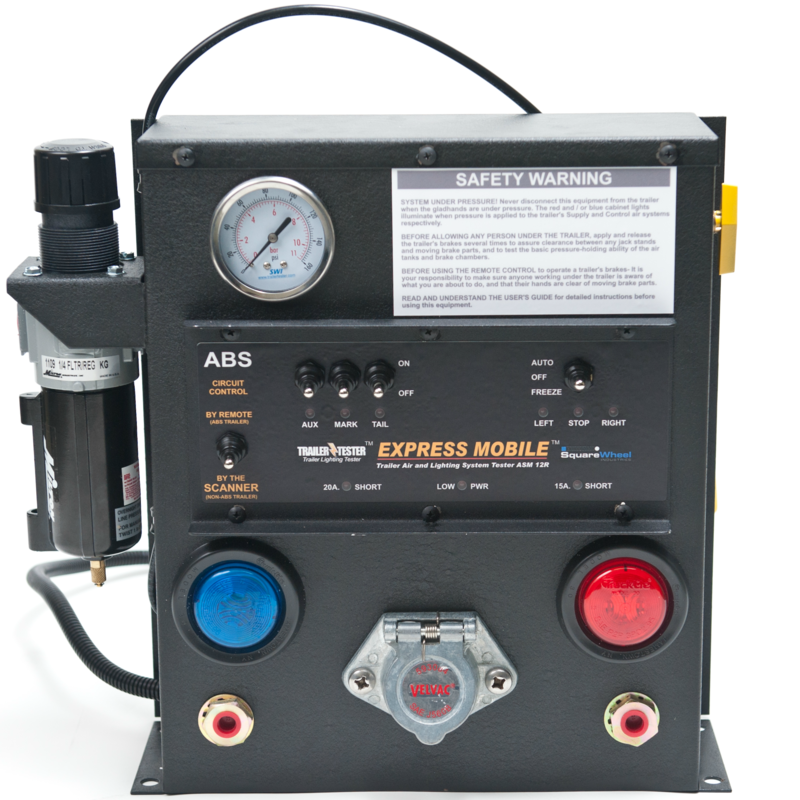 Our Express Mobile is a portable remote control light and air brake tester. 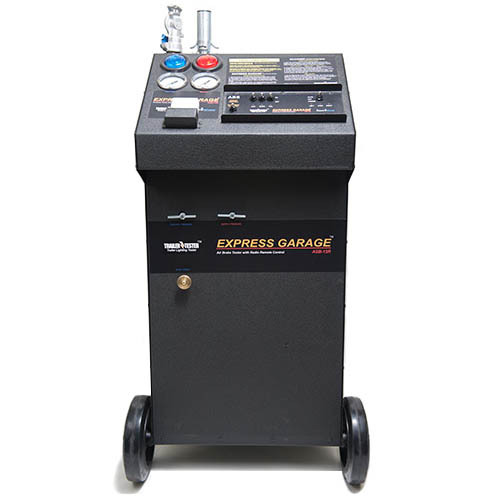 This particular trailer testing equipment is designed to be mounted in any service truck and works great for all those on-site trailer readiness inspections. Make your service truck investment as productive as possible with an Express Mobile and eliminate most of the walking associated with trailer servicing. You can easily check all lighting functions and the air brake system (including brake adjustment) in just two minutes, start to finish. That’s 20 trailers per hour including set-up, disconnect and all walk-time! Designed to be mounted in your service truck. Perfect for on-site trailer readiness inspections. Radio remote-controlled trailer light and air brake tester saves tons of time. Built in Scanner lighting tester operates lights in sequence. Check them all in a single walk around. Tests air brake and lighting functions in minutes. Sourced by your service truck’s electrical and service air systems. 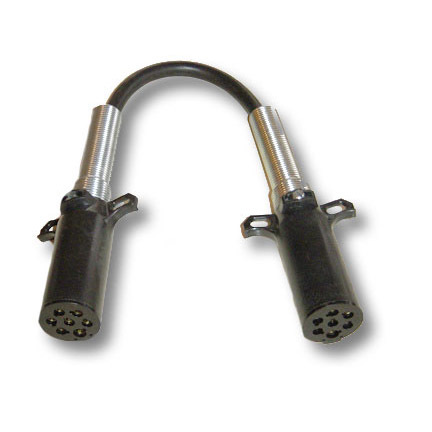 User supplied air hoses and trailer cable. Dimensions 14.88 H x 16.18W x 5.38” L (depth) including mounting flanges. Cabinet 16 Gauge steel/Base pan 14 gauge. Weldment forms basic structure. Gloss black finish. Mounting Integral mounting flanges on the back and bottom of cabinet for mounting to floor or sidewall of service truck. Hardware Mounting hardware will vary depending on the installation and is not supplied. Scanned Circuits Left – 1.5 Sec. -> Stop – 3.0 Sec. -> Right – 1.5 Sec. Circuits are powered one at a time. The cycle repeats indefinitely. Freeze feature stops scanning action if desired. Circuit Breakers Aux/Mark/tail – 20 amps total. SAE type 1 auto reset. Left/Stop/Right – 14.6 amps each. SAE type 1 auto reset. Short Circuit Warning Two red LED’s; one for each circuit breaker. Low Battery Warning One LED. Blinks at 11 volts. Full on at 10 volts & scanning is halted. Trailer Connection SAE 7-pole Socket mounted on cabinet. Light cord & plugs not provided; these vary according to the specifics of each installation. Power Supply 12vdc provided by the service truck. 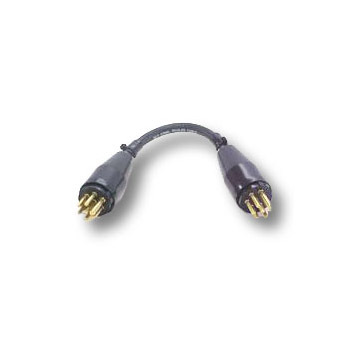 Requires connection to truck’s battery’s “Positive” terminal – a good ground connection – and connection to the truck’s Accessory Feed (the latter is not required but strongly recommended). Air Filtration Supply – Internal Filter – 40 micron w/5 oz capacity bowl and bowl drain mounted externally for easy servicing (the filter is included in the dimensions shown above). Supply and Control lines – Twin filters protect the air solenoids from contaminants possibly back-flushing from trailer. Air Regulation Single Variable regulator (2-125 PSI) controls Supply and Control systems. Anti-Compounding Accomplished electrically by interlocking Air Control Solenoid wiring. Air Pressure Gauges Single 2 1/2” pressure gauge indicates system pressure – whether this pressure is actually applied to the trailer or not. Calibrated with 2psi increments. Air Pressure Lights Two large pressure lights each for Supply and Control mounted on control panel. Air Actuation Two channel radio remote control operates Supply and Control air systems independently. Air Hoses/Gladhands None provided; these vary according to the specifics of each installation. Dimensions 3.19L x 2.20W x .94”H (81 x 56 x 24 mm) Fits in shirt pocket. Weight 1.8 oz (51 grams) without battery. Channels Two channels operate Supply air and Control air. When ABS panel switch is flipped to “With Remote” remote also controls Auxiliary and Stop light electrical circuits in conjunction with the air solenoids.